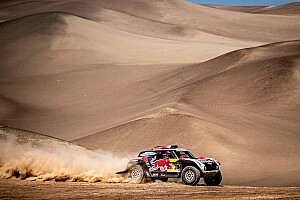 Summary of car category : ROMA NANI(MONSTER ENERGY RALLY RAID TEAM) won the stage Iquique > Calama in front of AL-ATTIYAH NASSER(QATAR RALLY TEAM) in second position and third position for: CHICHERIT GUERLAIN(BUGGY ALL TERRAIN TEAM). 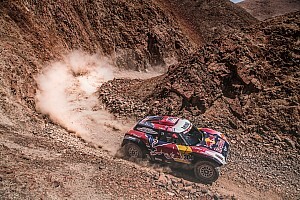 The general ranking : AL-ATTIYAH NASSER(QATAR RALLY TEAM) is leader and in second position: DE VILLIERS GINIEL(TOYOTA IMPERIAL TEAM SOUTH AFRICA). Summary of bike category : RODRIGUES HELDER(TEAM HRC) won the stage Iquique > Calama in front of GONCALVES PAULO(TEAM HRC) in second position and third position for: COMA MARC(RED BULL KTM FACTORY TEAM). The general ranking : COMA MARC(RED BULL KTM FACTORY TEAM) is leader and in second position: GONCALVES PAULO(TEAM HRC).